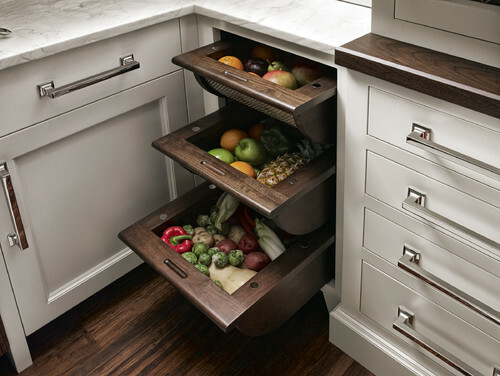 No matter how amazing a kitchen looks on the outside, that immaculate vision can quickly crumble if you open a cabinet or drawer to see a jumble of cereal boxes or utensils inside. 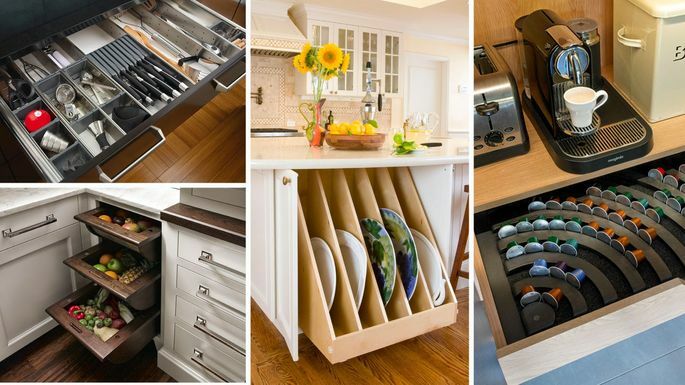 That's why, in this last installment of our Dream Kitchen Remodeling Guide, we lay out kitchen organization ideas to tame the chaos within. "When you pick up the groceries you typically buy, measure the widest, tallest ones to be sure the storage you're ordering will fit these items," recommends Jamie Novak, author of "Keep This Toss That." 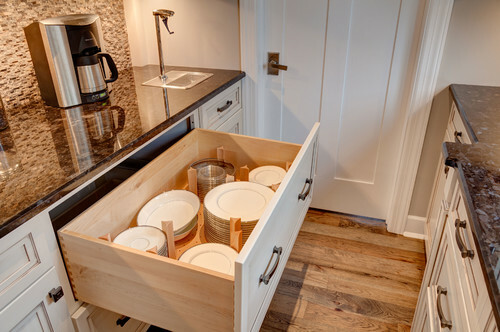 "You can also build out drawers for small appliances," says Catherine Pulcine of CPI Interiors. Also, "try a door rack for pot lids and pans, but make sure it's adjustable in case your life changes and you need to move things around," she says. 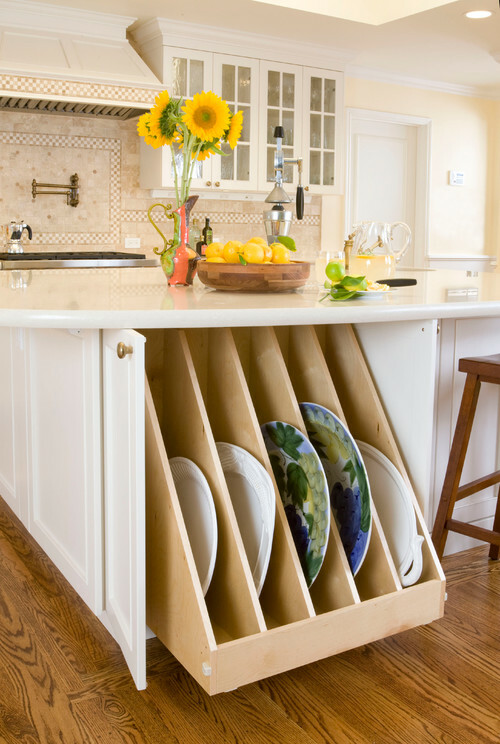 And if you're going for shelving for plates and bowls, always request peg holes that run the entire vertical length of your cabinets so you can adjust to any level you like, says Michelle Hale, professional organizer and co-founder of Henry & Higby. Certain veggies last longer (and taste better) if they're stored at room temperature. To this end, consider a couple of pull-out bins to save space in the fridge and free those poor spuds and onions from the cold. Wooden bins made with metal mesh on one end allow the air to circulate. Or go the DIY route and stack baskets or wire containers on an open shelf—they'll work similarly to keep veggies fresh. 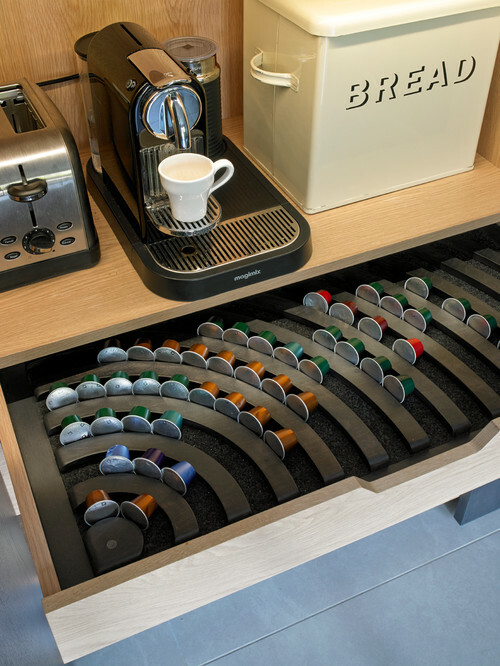 Love those coffee pods, but hate the unsightly boxes they come in? The fix: a custom tray that fits these tiny pods to a T and lets you see if you're out of Italian roast. Just be sure you're committed to your particular brew brand so this coffee solution doesn't become obsolete. "This way, you can see all of your items without having to unstack them to find the blue one," says Novak. 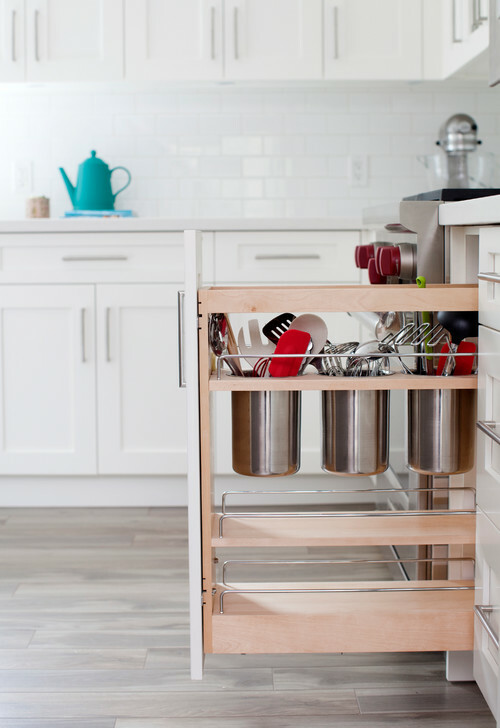 "I either put them in the space above the oven if there are a lot of trays and baking sheets to house, or in a narrow base cabinet that pulls out," says the certified kitchen designer and author of "New Kitchen Ideas That Work." 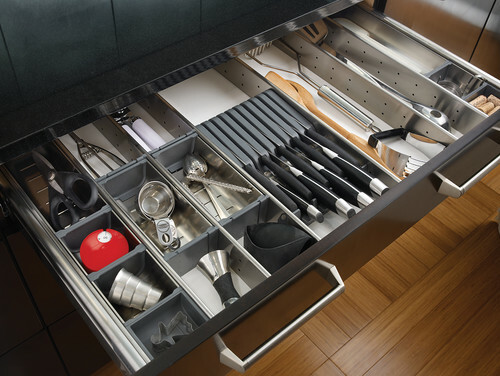 This easy storage method makes great use of a deep drawer. Plus, installing a set of simple wooden pegs is inexpensive and rather easy if you're handy with tools. 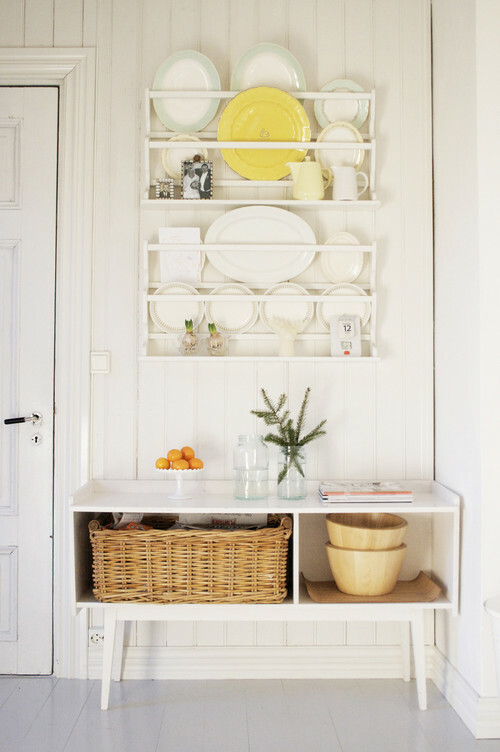 Pro tip: Put this kitchen storage idea in the spot closest to the dishwasher as it'll make unloading and stacking a breeze. 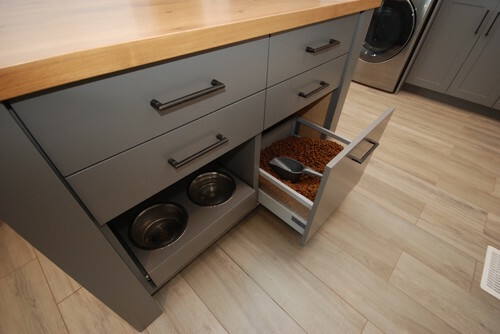 "Ones that tip out or pull out for dry pellets, as well as a longer spot that opens to reveal bowls is a clean, organized way to deal with pet supplies," she says.